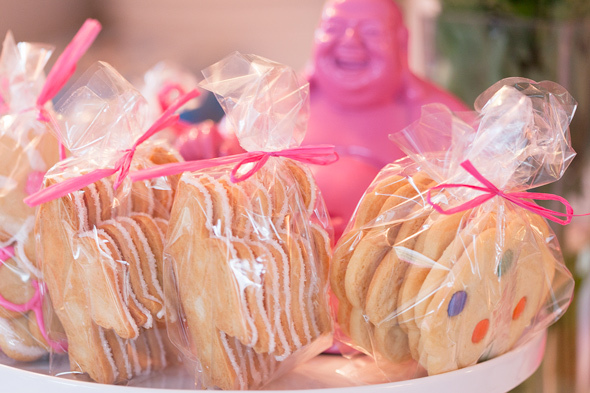 Robyn's Cookies is a cozy bakery just north of Lawrence on Yonge, hidden from the street and only accessible by way of a side street (Ranleigh), or for the adventurous, a shortcut via child haircutters Melonhead . 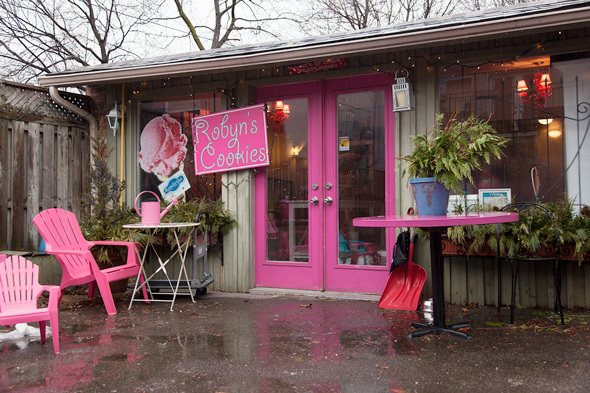 Although Robyn has been operating this Cookie Cottage for more than 5 years, most people have trouble finding the location, and with some of the local community members shockingly objecting to her having any signage (even a sandwich board) up, Robyn has successfully operated her business for years thanks to a loyal and steady following. With the busiest months behind her, January affords Robyn the time and creative indulgence to craft whatever she fancies. 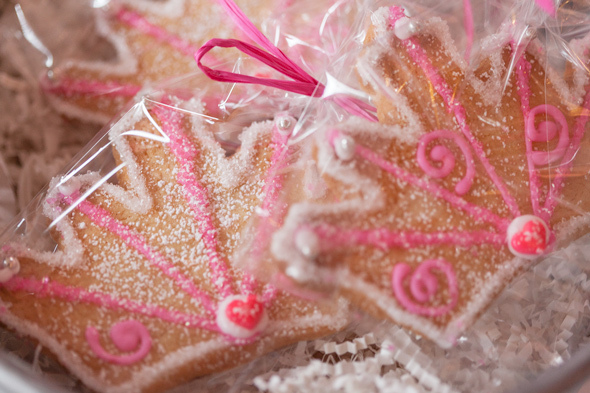 Sugar cookies come decorated in all matter of shapes and sizes, coordinating in the hot pink (or Pepto-Bismol, depending on your inclination) that echoes throughout the glamorously girlie spot. Cookies are available for special order, or you can pop in and see what looks good. Her most popular cookies are the massive chocolate chip ($10/bag of 8), which came right out of the oven during my visit, awarding me with the rich taste of chocolate. Other notables are the healthy oatmeal fruit (which are blended with flaxseed), the junk in the trunk--nut-free shortbread which is a mash up of candy and whatever else is kicking around--and my personal favourite, the oatmeal dark chocolate, with 80% dark chocolate chunks flecked into an obscenely large buttery cookie. With a small banquette for indoor noshing and a secret-garden like patio for hotter months, stumbling upon Robyn's is almost like a dream come true--unless you're diabetic. 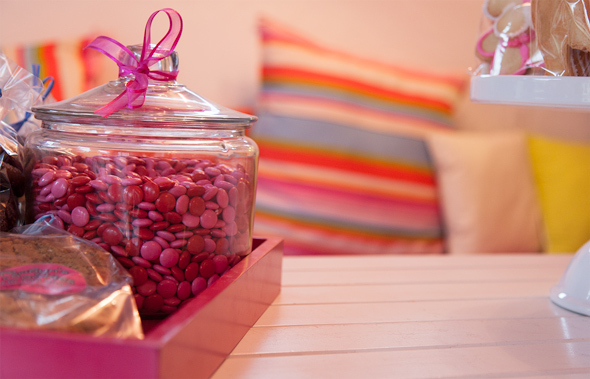 While the place is certainly a tad cramped, it's likely best to just grab a bag and go. Loitering here is reserved for the summer months, when she also features Kawartha Dairy ice cream.